Ken Griffey, Jr. is a retired MLB outfielder who played for the Seattle Mariners & Cincinnati Reds. He is regarded as one of the most prolific home run hitters in baseball history. He was recently inducted into the Baseball Hall of Fame along with Mike Piazza in 2016. 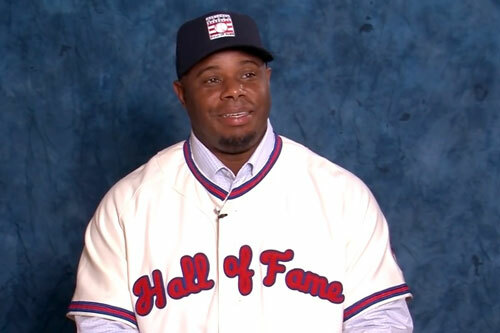 Ken Griffey, Jr., nicknamed “Junior” and “The Kid”, is a former MLB outfielder who played 22 years for three teams from 1989–2010. He spent most of his career with the Seattle Mariners and Cincinnati Reds, and also played for a short time with the Chicago White Sox. Griffey, Jr. is a 13-time All-Star and considered one of the most prolific home run hitters in baseball history with 630 home runs to his name. Sports Speakers 360 is a booking agent for pro athletes. If you would like to book Jennie Finch for a speaking engagement, appearance or endorsement, contact a Jennie Finch booking agent for fees at 1.855.303.5450.